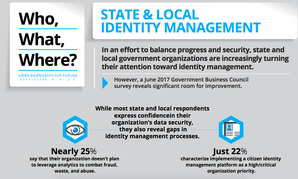 In an effort to balance progress and security, state and local government organizations are increasingly turning their attention toward identity management. State & local organizations are increasingly prioritizing robust digital infrastructure — but according to GBC’s August 2017 survey of government leaders, challenges still lie ahead. 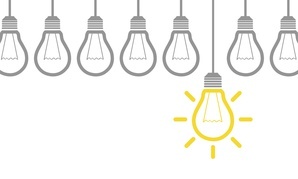 NASCIO and Route Fifty asked federal, state, and local officials what they consider to be the most disruptive technology in government today. The findings may not be what you expect. 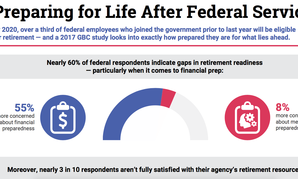 By 2020, over a third of federal employees who joined the government prior to last year will be eligible for retirement — and a 2017 GBC study looks into exactly how prepared they are for what lies ahead. How Is Government Faring in the Data Age? 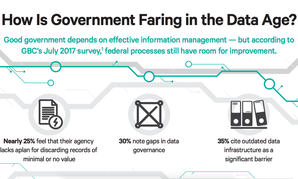 Good government depends on effective data management — but according to GBC's recent survey, federal processes still have room for improvement. 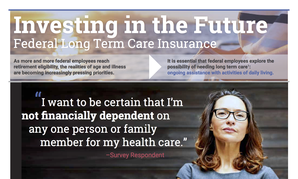 GBC's new survey reveals what federal employees really think about long term care insurance. 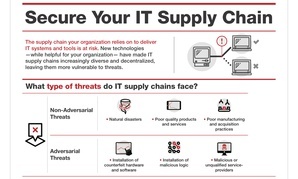 The supply chain your organization relies on to deliver IT systems and tools is at risk. New technologies —while helpful for your organization— have made IT supply chains increasingly diverse and decentralized, leaving them more vulnerable to threats. 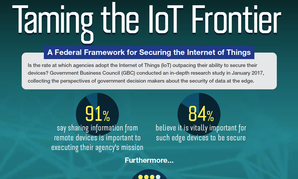 Is the rate at which agencies adopt the Internet of Things (IoT) outpacing their ability to secure such devices? In a recent survey by GBC, federal employees tell us what they think. For much of the federal workforce, the transition to retirement is becoming an increasingly pressing reality. 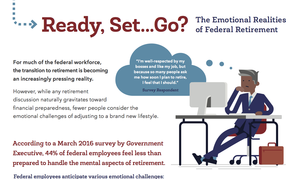 However, according to Government Executive's March 2016 survey, many federal employees feel less than prepared to handle the emotional challenges of retirement. 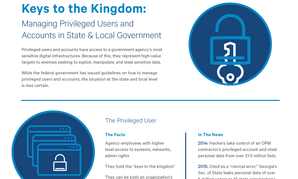 Who are privileged users and why is managing them so critical to state and local government? GBC explains in this infographic presentation of a 2016 survey on privileged management.